The Essentials Kit includes Prep (dehydrator/primer), Start (base coat), Build (clear builder gel), Finish (top coat), Clarify (cleanser), Erase (Soak Off Remover), and assorted files. Basically, it's everything you need for a flawless gel polish manicure except for the color. So, let's jump straight to the chase. Is GELeration Build the Soak Off, LED builder gel I have been searing for? Well...it is soak off...and it is LED compatible...and you can build length with it...but the answer is no. Surprised? Let me explain. 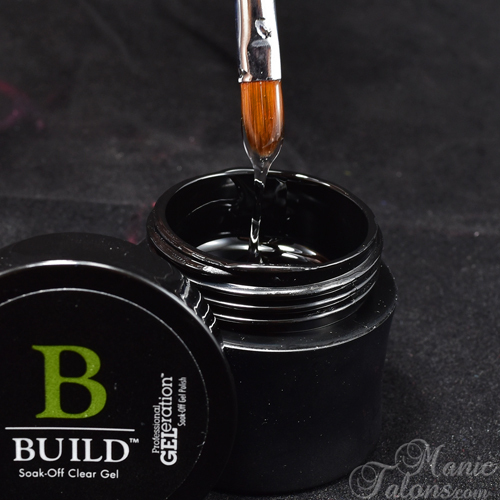 Build is a higher viscosity gel that you can technically sculpt with, but it's not really made for that purpose. It is a bit too thin and self levels easily, which means building an apex is difficult. What exactly do I mean by that? 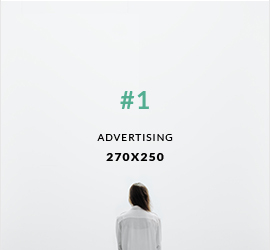 Well, with enhancements, you want the product to be thickest over the weakest point of the nail. Since Build self levels, it wants to side down the c-curve and pool at the edges of the nail, resulting in a flat surface instead of a nice curve. I was able to create an apex, but it required a good bit of filing on the sides of the nail to thin them out while leaving the thickness in the center. Here's a shot that shows the viscosity a bit. For this shot, I dipped my brush and pulled straight out. You can see that the product flows freely back into the jar. I also found that Build isn't really strong enough for sculpting. I was able to sculpt a short tip, but I found that it was too flexible at the standard salon thickness of a credit card. In order to get a strong extension, I needed it make it twice as thick. Results might be better over a tip, but I didn't try it as I am searching for a soak off, LED gel for sculpting. With that said, here is the final result of my sculpting attempt. You can see the thickness on the thumb. With that said, I did wear these for a little over a week before soaking them off. The removal was excellent! I took down the bulk with my e-file and then used foil wraps and the Erase product. After soaking for about 15 minutes, I could feel the gel pop free from my nails. If you're familiar with soak off products, you're likely familiar with that pop. It's a great pop! So, my final thoughts on GELeration Build: I feel that this is a great product for natural nail overlays to add strength. If you need a little extra support, a layer of Build will do just that. It might work over tips for short extensions, but it isn't really strong enough in my opinion for sculpting. Let's move on to the GELeration Gel Polish Colors. Over my many years as a gel polish fanatic, I have only owned one GELeration gel polish before now and it was a glitter topper, so I never really had a chance to get a feel for the product. I'm not sure why I never took a closer look at the GELeration line, but I didn't. So I have two colors to show you today - Royal Red and Endure. Royal Red is a classic red cream. I would describe Royal Red as a true red with slightly blue tones. I swatched it here over the Build extensions I showed before. I found that it covered the clear tips nicely with just two coats. Application was smooth and easy, and the Finish Gel leaves a nice shine (if you look past my finger prints from my cuticle oil. Oops). Endure is another classic shade. This is a soft, neutral pink that would make a beautiful french base. Application was similar to Royal Red, though I did find that it wanted to self level toward the sides of the nail. Three thinner coats instead of the two I swatched here would solve that issue. 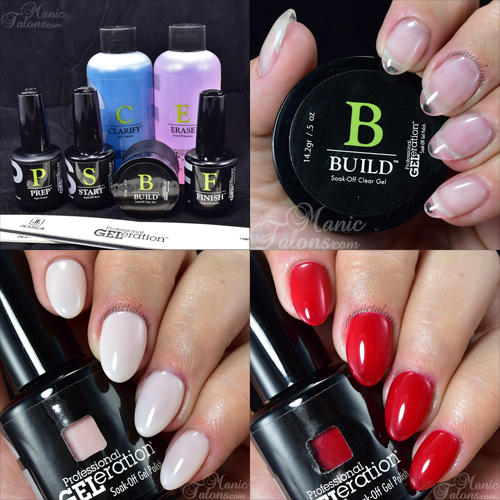 *The Jessica GELeration Essentials Kit Products featured in this post were purchased by me. The GELeration Gel Polish colors featured in this post were provided by Jessica for my honest review. All links within this post are courtesy links and do not benefit ManicTalons.com. Damn, I was hoping for a good sog builder. I still have my gelish but I swear its fake or something. Try BioSculpture. I use their Clear gel as a base and you can sculpt with it. Have you tried the NSI Secrets? Folks on one of my Facebook groups seem to like it. I am looking forward to reading your NSI Secrets review. hmmm...I find Build interesting though its not that easy to sculpt. And I am so interesting on those polishes too. Madam Glam Swatches and Blogiversary Giveaway!